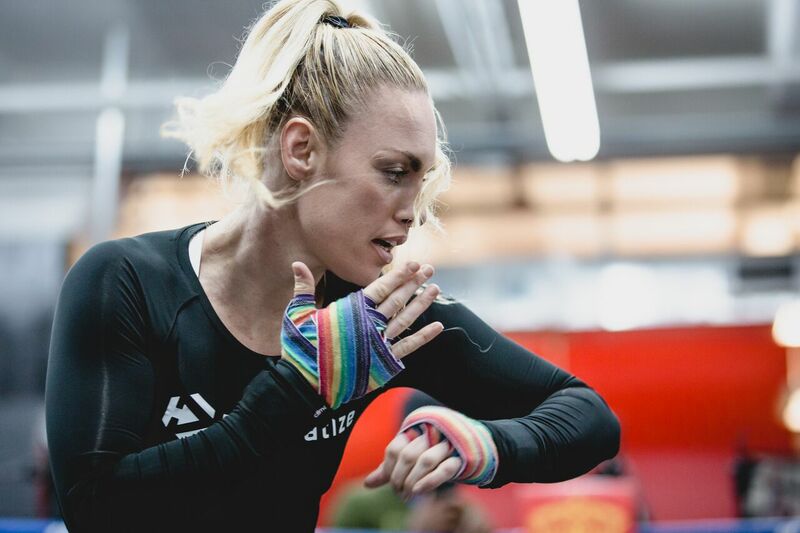 In celebration of professional boxing champ Heather Hardy’s recently signed multi­fight MMA agreement and upcoming bout with Bellator, the undefeated 20­0 boxer and MMA sensation will make a special appearance next Wednesday, February 7th at the Modell’s Sporting Goods Times Square location beginning at 5:30 p.m. ET. Brooklyn’s own “The Heat,” who currently competes in both MMA and boxing, will co­headline a media workout at the famed sporting goods chain’s flagship location, followed by a meet and greet with former Bellator light heavyweight champion and fellow Bellator 194 fighter Liam McGeary. Fans can view their workouts up close and personal and later take photographs with the fighters. Both Hardy and McGeary are gearing up to step inside the cage for their next MMA fight at Bellator 194 on Friday, February 16th at Mohegan Sun in Uncasville, Conn. Hardy (1­1 MMA) is set to take on Ana Julaton (2­3 MMA) in a women’s bantamweight bout, while 2015 Bellator 205­pound titleholder McGeary (12­2) squares off against Russian up­and­comer Vadim Nemkov (8­2). The main card will air on Spike TV at 9 p.m. ET/8 p.m. CT, while preliminary action will stream on Bellator.com and the Bellator Mobile App starting at 7 p.m. ET/6 p.m. CT.